We have checked numerous school books of the period for references to the Musgrove family. This was a great find as it's the only record we have found so far despite much searching. 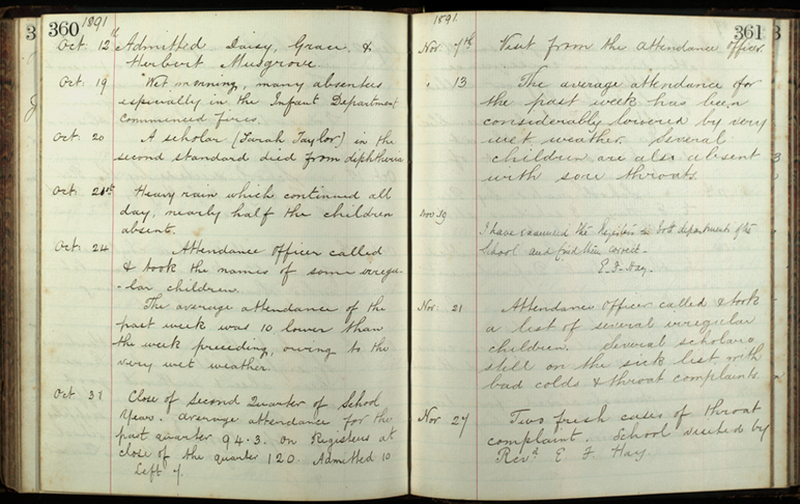 The extracts shown here date between 1891 and 1894 fron the actual Log Book of St John's Church of England Primary School Danbury Essex. 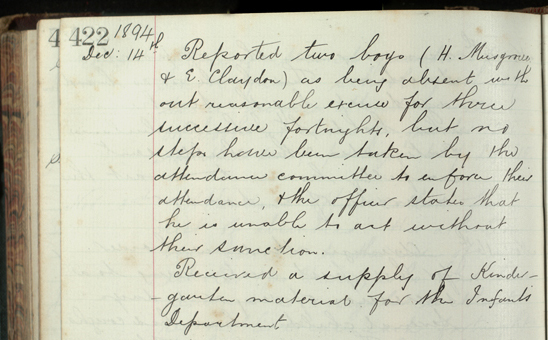 Shown below is entry from Monday October the twelth 1891 for three of the Musgrove children. This is when the returned to Danbury from a short spell of living in London. 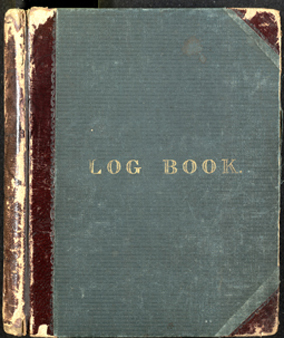 The log clearly shows on the top left page Diasy 10. Gracie 9 and Herbert 8 being welcomed to school. The next extract top right dates from three years later on Dec 14th 1894. Herbert Musgrove (now 11 years old) is recorded as being absent for three fortnights. If you read on the Attendance Officer appears to have been busy at this time. 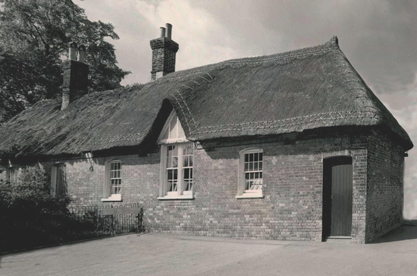 The two photos below show part of the original school buildings. 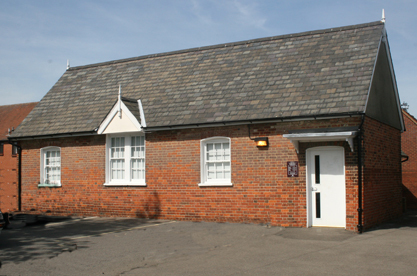 The right hand photo shows the converted building present day which is used by Danbury Library. Note the various alterations to the building over the years.